After months of hard work, the wait is over! 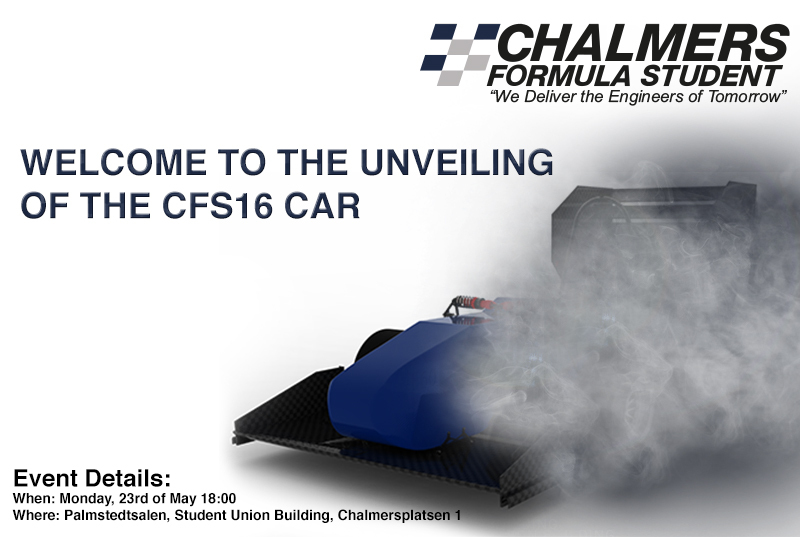 Chalmers Formula Student invites you to the unveiling of the CFS16 car. The event will start off with a short presentation of the car followed by the unveiling and mingle.